Making the transition to a vegan diet for the first time can be both daunting yet exciting at the same time. 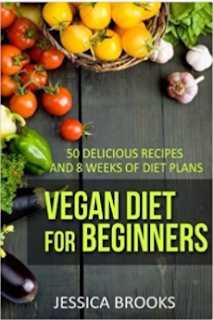 The beginner vegan often has many questions or uncertainties about this lifestyle that they are seeking to get answers for. Below is a list of 10 helpful tips for those who are new to the vegan diet, focusing on how to smoothly start a vegan diet and how to ensure that the transition to becoming vegan is as easy and stress-free as possible. Before you make any kind of lifestyle change, it is always a good idea to do plenty of research beforehand. By doing so, you will know exactly what to expect. You need to gather information on what vegans do and don't eat, what benefits there are to going vegan, what obstacles and challenges vegans face, etc. You will thank yourself later on for your thorough research. For the beginner vegan, I always advise them to write down on paper exactly what they want to achieve on the vegan lifestyle. Whatever your reasons are for making the transition to the vegan diet, write them down on paper. Stick them where you can see them every day such as on the fridge. It is absolutely necessary to find and collect some good vegan recipes, since you will be doing a lot of different cooking from now on. You need to find some quick and easy recipes for the times when you are too tired or busy to cook anything fancy. Find your recipes online, purchase a vegan recipe e-book- You choose, just make sure you have your vegan recipe folder well-prepared for when your start your new vegan lifestyle. Let your beloved ones know as soon as you make the decision to become vegan. This will ensure that when you visit them, or when they visit you, food will not be a problem since they have already been informed about your new vegan diet. 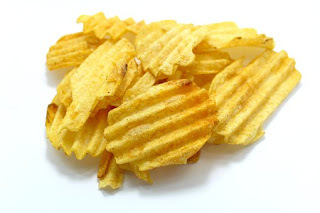 When you stop eating certain foods, you will inevitably have food cravings from time to time. Be prepared for this and make sure you have some healthy snacks or frozen baking easily accessible so you don't cave in. 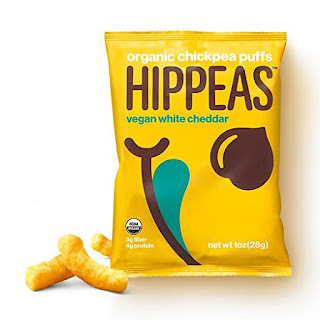 Find some recipes also for "vegan clones" of your favorite meals and snacks (Note: Professional vegan chefs have written an assortment of recipe e-books to cater for your cravings). 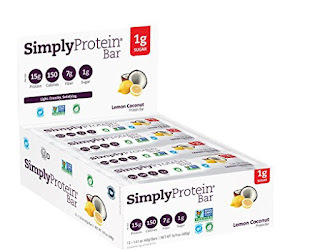 Nowadays the supermarkets and health shops tailor to the needs of the vegan, so you should have no trouble finding meat-free, dairy-free snacks and foods such as vegan cheese, tofu, vegan chocolate, health bars, "bacon" and cereal. Try them all out and get to know your favorites. There are many vegan online support groups, chat rooms and blogs that you can visit and interact with fellow vegans online. This will help you to stay motivated, encouraged, and will also help you to realize that you are not the only vegan on the planet! You will be eating a lot more fresh produce now that you are vegan. Find some fruit and vegetable markets or food stores that deliver quality produce at a reasonable price. Keep in mind that supermarkets are often more expensive. Enjoy choosing your fresh produce and make your fruit and vegetable shopping a relaxing experience! Since you will be limited to buying treats and sweets out at cafes and restaurants, bake your own vegan treats such as brownies, cakes, slices and muffins. Bake an entire batch every week and freeze in individual portions for when you need a treat. 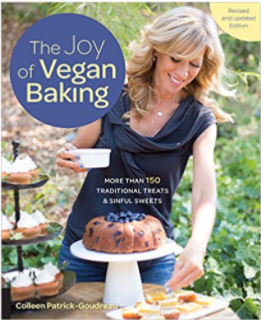 Once again, you can find an abundance of vegan baking recipes online either by websites, blogs, or recipe e-books. The transition to the vegan lifestyle is often the most difficult right at the beginning. After a while, it will become easier and easier until it becomes second-nature for you. So for the beginner vegan or those relatively new to the vegan lifestyle, my advice is not to give up straight away but to give your new lifestyle a fair chance. Chances are that after a few months you will be extremely grateful that you never gave up! The rewards and benefits of this lifestyle always outweigh any challenges that you may face from time to time! It has been said that gold fish are the easiest of pets to look after. Unlike other pets such as dogs and 4 legged creatures there is no need for training, litter training and so on. Although you are limited in the interaction with a fish there is one important factor that needs careful monitoring, food. 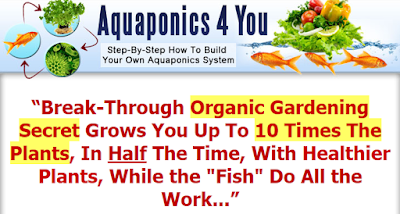 Believe it or not gold fish are quite complex creatures and consume both plants and animals. Unlike most other aquatic creatures they can adapt to there environment whether it be scavenging for food or taking it from the surface after you have placed there favourite fish food in the tank. One point to mention about these type of fish is that they have no stomach to store what they eat so you will find a small amount of food gets converted to waste rapidly. This explains why they are always hungry, unlike animals like dogs that just eat and eat and have no idea when to stop! It is advised that your fish should be fed at a maximum of 2 times daily, no more. What types of food do they eat? A gold fish diet requirements are mainly based on high protein and carbohydrate products full of essential nutrients for growth and development. You might think that a fish must be cold as it is being stuck in the water all the time but surprisingly they store carbohydrates for extra protection in cold weather, although ironic, this is true of all types of fish breeds. Some of the most common types of gold variety fish foods include flakes and pellets, larger g fish might find it easier to consume pellets while small varieties of fish would find it easier to consume flakes. 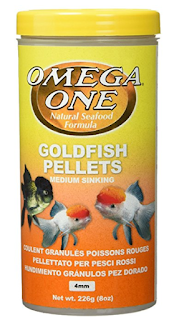 When you first get your gold fish, base its diet on one or another and supplement once in a while with a combination of pellets or other treats. On that note gold fish can be fed frozen food which you can purchase from you local pet store such as worms and brine shrimp which is a favourite to these type of fish. 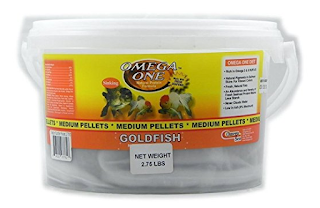 Omega One Medium Sinking Goldfish Pellet Fish Food 2.75-Lbs. It is advised to change your fishes diet every once in a while to keep it healthy and give it the best opportunity for growth. Remember to check what food you are feeding them as many have made the mistake of feeding gold fish tropical fish food that provides no nutritional value and can harm your fish. Yoga mats that properly support your body are essential for your enjoyment and success with yoga asanas (postures). Yoga mats prevent and decrease injuries that can be caused by slippery surfaces. Yoga mats are used by anyone practicing yoga to help them create a barrier between themselves and the floor. Yoga mats can be purchased for as little as $20 and many studios and yoga classes will let you store your mat with them if you are a regular. Some will even offer you a free mat to use during your sessions. Research has not confirmed the link between unclean yoga mats and fungal, bacterial and viral infections, plantar warts and staph infections. Good Yoga mats will help you improve your balance and coordination and give you better stability and traction. If you are looking for a natural, eco-friendly alternative to sticky synthetic yoga mats which may be full of chemicals, then consider an organic hemp, bamboo, or cotton variety of yoga mat. Mats come in a variety of custom colors and sizes, with the standard size of 24" x 68". There are also 100% hemp yoga and meditation mats made from certified organic European hemp: processed without chemicals for true purity and environmental sustainability. You'll love an organic hemp yoga or meditation mat if you're looking for something natural, organic, and soft during your yoga session so that you forget about your worries of synthetic or dusty carpets (many yoga studios have carpeted or synthetic and dusty flooring). Rolled up, the yoga mat makes a great pillow and also a lower back support. We've found that mats are also good for the second (mat to lie on) and third (folded up for knee support) of the Five Tibetan Rejuvenation Rites since bare floors can be very hard on your knees. 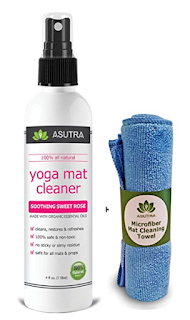 There are half a dozen type of yoga-mat wipes available, and new products like hand and foot mitts will protect yoga mat borrowers. Though, you should keep in mind that it has not been proven that you can 'catch' a virus, fungus or other bacteria from another person's yoga mat, you will still probably want to purchase your own, as it will become personal to you, and you will be able to maintain it and know that it is your very own. A hand-woven yoga mat is best if you want to do gentle yoga, meditation or relaxation. A comfortable bamboo meditation bench with rounded leg bottoms is also suitable for long meditations. For complete yoga that includes exercises, meditation, breathing (pranayama) and relaxation, sticky mats should not be used. For a sitting meditation, you may want to fold the mat two or three times so that you have a thicker cushion under you while you sit. Rolled up, the hemp yoga and meditation mats make a great pillow and lower back support too. Yoga mats are made of cotton, jute, rubber, rug and synthetic materials. A 100% cotton yoga mat rug for your practice may be best if you have allergic reactions to other materials, or just wish a softer, more cushier mat. 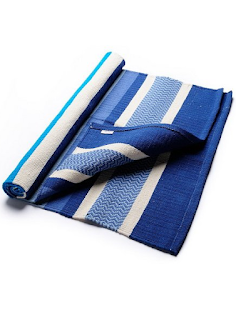 An all natural zabuton mat is handmade from chemical- free green cotton. A long lasting filler for pillows is organic buckwheat hulls as it conforms to your body's shape and is usually wrapped in a organic cotton twill shell with a hidden zipper carry handle. The original eco yoga mat is made with all-natural rubber and jute fiber and is excellent for any consistent practice of yoga. Its rubber underside grips the floor and the jute fabric/rubber mix on top offers superb traction and a highly durable, tactile and pleasantly natural surface to practice on. Selecting an eco yoga mat is a perfect choice as you pose your way to enlightenment and inner peace in your yoga practice. Even a carpet can potentially become slippery and cause an injury, especially in a more complicated pose. After extensive research, I believe that the ecoYoga mat is currently the greenest option available for those who wish to practice on a sticky mat. Better still, you may want to show a little eco enlightenment at your next yoga class with a PVC-free mat. In the past, we've given you a few options regarding eco-sensitive yoga mats: the Harmony Rubber Yoga Mat, and Eco Mats by Eco Yoga. Yoga mats can be purchased for as little as $20, and many studios let you store your mat with them. Yoga mats are handy, safe and comfortable for yoga practice. The standard size of 24" x 68. 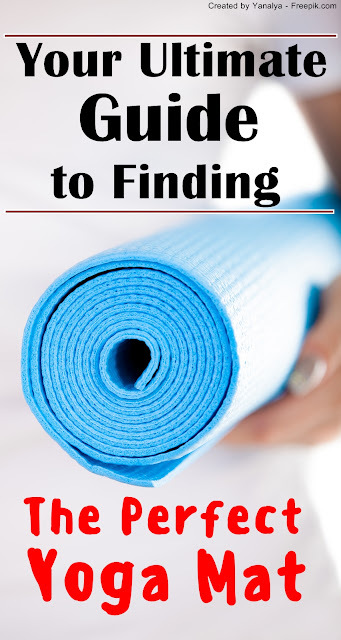 Yoga mats provide ideal base for practicing yoga safely and comfortably. There are some yoga mats that are not made of PVC, which is considered to be the most toxic of all plastics, and is found in more than 90% of today's sticky mats. Alternative materials such as hemp, cotton, bamboo and other materials can be used instead of PVC when you are looking for a more organic or chemical-free experience, or simply to prevent allergic reactions. Getting a dog is a decision that should not be taken lightly. It is a long-term commitment in which you will be responsible for another life. So, before you rush out to your local shelter to pick out a dog or send a deposit to a breeder for a new puppy, ask yourself these 4 questions. 1. Do you feel confident that you will have room in the budget not just now but for years to come? To know if it's the right time to have a new puppy or dog, it's wise to first have a good look at your income, financial responsibilities, and your spending habits. 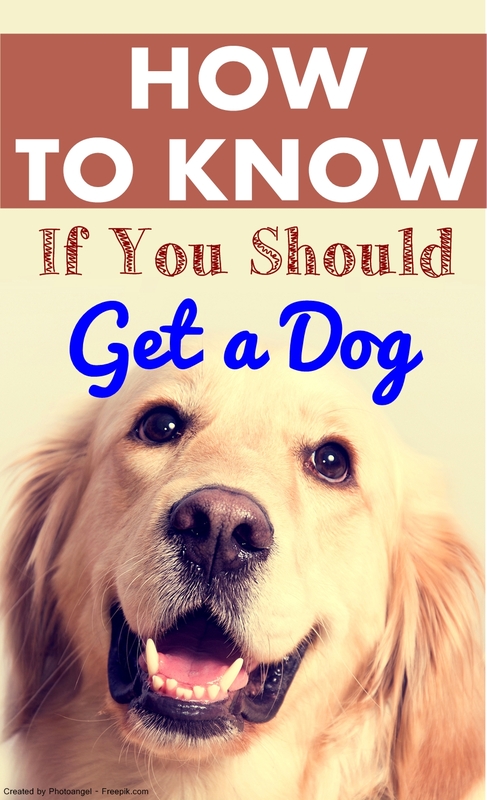 Getting a dog does involve an initial expense; however, it goes far beyond that. For at least a decade, and longer in many cases, you'll need to be able to pay for dog food, care items (bowls, leashes, collars or harnesses, grooming items, toys, etc.) and veterinary bills. Some pet owners try to save money by avoiding yearly wellness checks at the vet; however, this can lead to more bills down the line due to health issues not being caught early. The cost of taking care of a dog depends on the quality of the care items that you'll be purchasing and variations of store pricing. If you expect to have at least $200 a month for both ongoing costs and starting an emergency vet fund, this is a good start to knowing if you're ready to have a new dog or puppy. 2. Is your home pet friendly? Not all dogs need large yards to run and play, and in fact toy breed dogs can do just fine in small apartments. However, there are other things to look at. You'll want to have an easily accessible outdoor area for the dog's bathroom needs. Since daily exercise is important for dogs, there should be an area for daily walks. While dogs can enjoy an active and large family, most do not do well with chaotic or stressful households, so this should be considered as well. 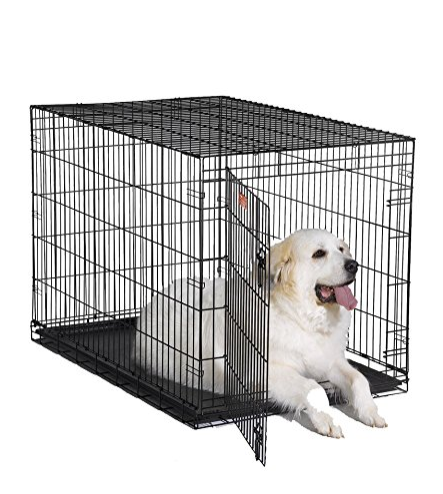 You'll also want enough room so that the family (both humans and pets) do not feel crowded. And the puppy or dog should have his own area for resting, sleeping, indoor play, and eating. 3. Do you have time for a dog? It is quite common for owners to be away from home for work, school, or other responsibilities. However, you'll want to know that you have time to spend with your new pet if you do get a puppy or dog. 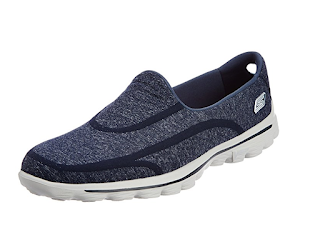 Will you have time each day for walks? Grooming? One-on-one time for play and perhaps command training? Dogs love human interaction and do not do well when isolated the majority of the time. 4. Does your urge to get a dog go beyond just thinking that dogs are cute? Dogs are indeed cute. But, they can also have barking issues, housebreaking issues, and marking problems. A teething puppy may nip and an adopted adult may not like children. It's more common to have a dog with a few issues and quirks than a perfectly behaved canine family member. To know if it's the right time to get a new puppy or dog, think about how you feel about having a dog every single day, through good times and bad, without any breaks in pet ownership. If you've answered 'yes' to these four questions this is a great sign that you are ready to bring a new puppy or dog into your home. 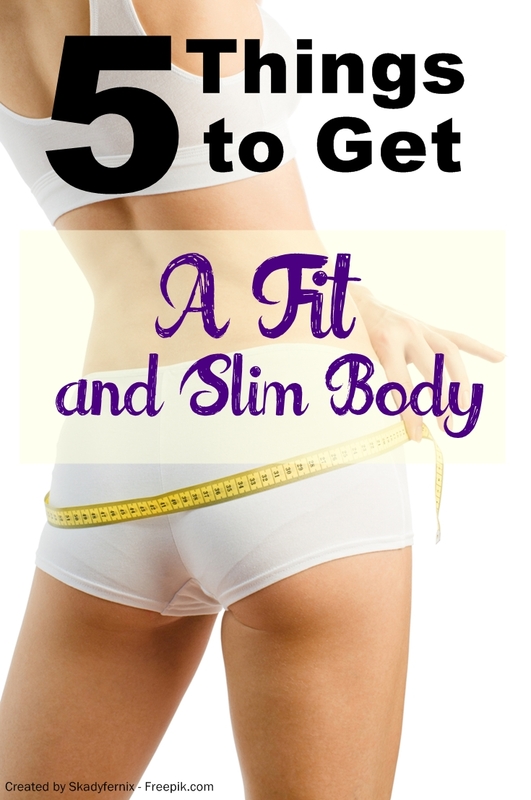 How Can You Get A Fit And Slim Body? The desire to look fit is nothing wrong. We all do have the same feeling at some point of our life and the fatter ones out there will definitely agree with what I say. Slimming down not only gives you a great look but also makes you look attractive. Therefore, if you have the same desire in your mind, we advise you to follow certain tips that will help you reach your goal. • You can start with drinking 2 glasses of water at the beginning of your day. This will give your metabolism a good start. Water also helps to remove unnecessary toxins from the body. The added advantage is that water does not have any calories so it will not do you any harm. Even during the day, if you drink water in plenty then it will keep your hunger in control and restrain you from consuming calorie rich food. • Exercising is a good thing for the health and well-being. If you are not able to exercise regularly, you can just take a walk after the meals. Walking burns out a great deal of calories. This will help to keep your weight under control in the long run as the glucose is cleared from the blood stream. • Processed food contains a lot of salts. Even chips, and the things you mostly love eating have salt content in them that works as a preservative to add taste. Reduce the intake of salts as too much of it increases the blood pressure. 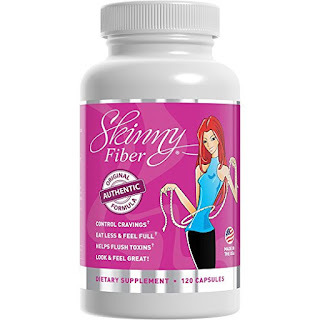 • You are advised to go on a fiber rich diet. These foods will keep you full as they take a longer time to digest and make you have a lesser appetite for food. 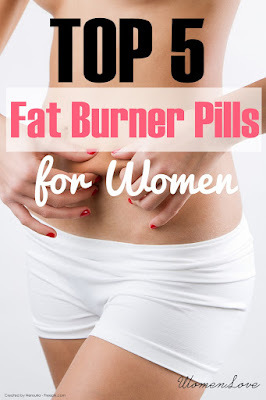 Thus, it boosts your slimming regime and keeps our weight in check. • The last but not the least advice for you is to eat homemade food. Saying so, I do mean that you need to stay away from the lip-smacking delicious food that the cafés and restaurants offer. You have to lessen the number of visits you make there in a week and consequently in a month. While you eat at home, you will be able to monitor what you are eating. All these things, if you are following them, will make your fit and get a slim body that you have wished for a long time. Not only that you will become healthy and would be able to lead a better life by keeping away several diseases.